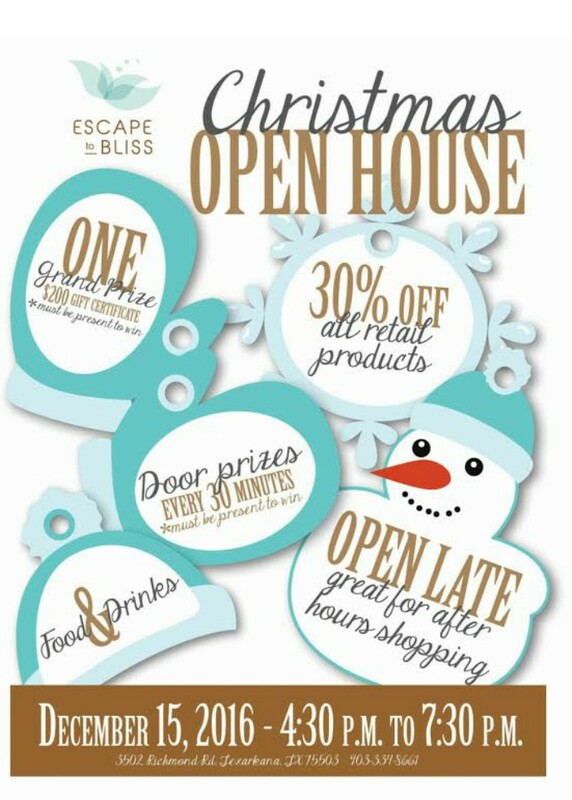 Escape to Bliss Spa will be hosting an open house event on Thursday, December 15, from 4:30 p.m. to 7:30 p.m., located at 3502 Richmond Road in Texarkana, Texas. This holiday season, treat yourself to an evening out at Texarkana’s fabulous new spa, Escape to Bliss. 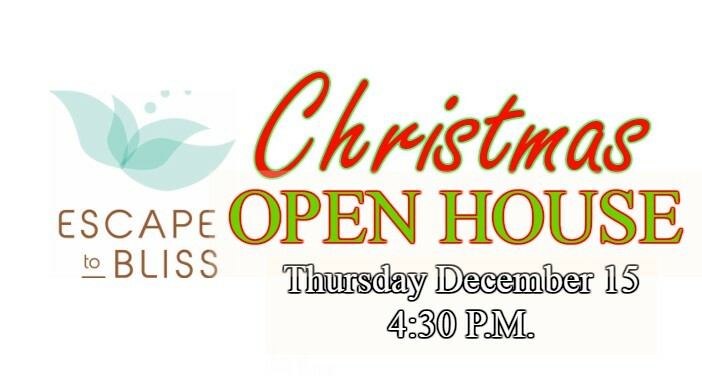 Escape to Bliss will kick off this exclusive Christmas Open House event at 4:30 p.m. with refreshments, cocktails and a variety of specials and prizes. All of their retail products will be 30% OFF. Every 30 minutes, they will be giving away FREE DOOR PRIZES*, such as jewelry from Micah’s Jewelers and Crocker’s Jewelers to name a few. Also, At the end of this magical event, they will give away ONE GRAND PRIZE* of $200 in gift certificates to Escape to Bliss. You MUST be present to WIN! Don’t miss out! You’ve treated the children, now it’s time to treat yourself.